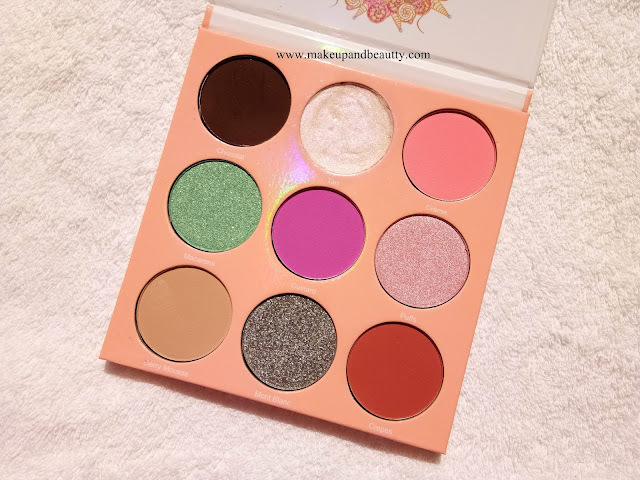 So taking a break from lipstick review series today I am up with one of my recent buy, an eyeshadow palette review. 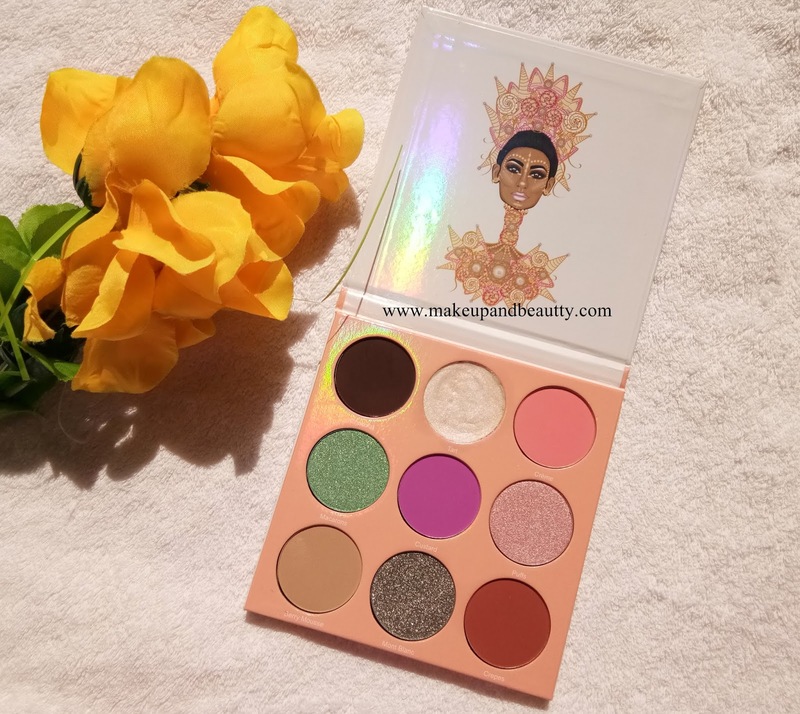 JUVIA'S PLACE is one of my favourite brand of eyeshadow. I already have their SAHARAN PALETTE, MASQUERADE PALETTE, NUBIAN 2 PALETTE, ZULU PALETTE. 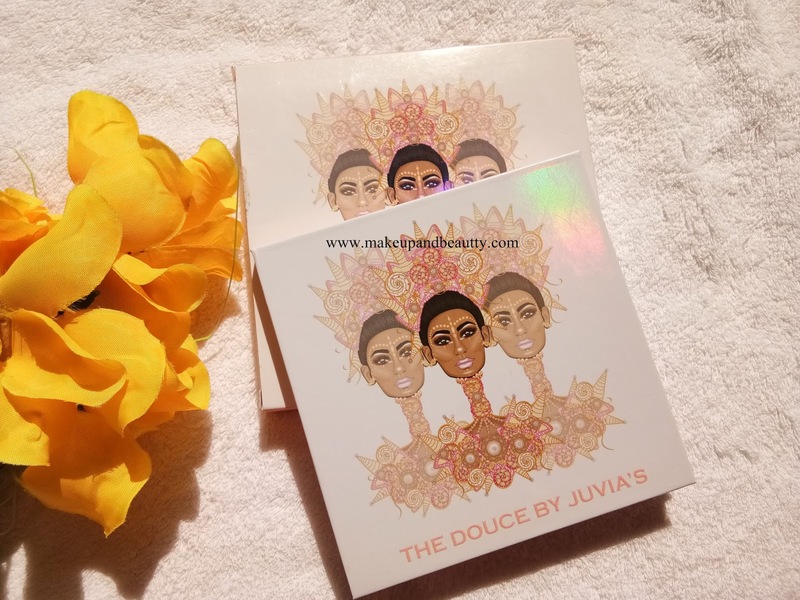 And today I am going to review DOUCE PALETTE, which is one of that palette whose shades are experimental and tricky. A perfect palette for the holiday season. Instagram seller price:- 1500/- to 2000/- Approx. A sweet blend of metallic hues and matte shades. A creamy velvety feel infused with rich pigmentation. The art of packaging of this palette is worth mentioning. 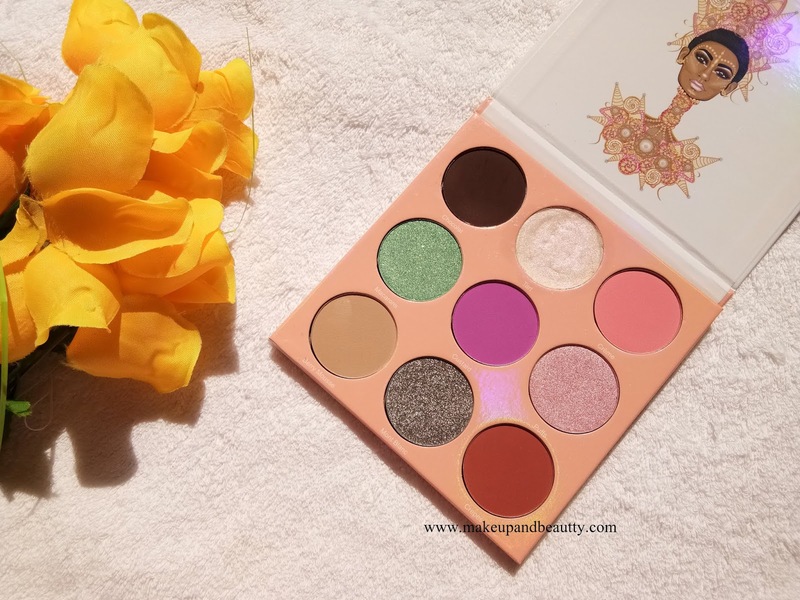 The palette comes in a sturdy and sleek cardboard box with African figures on it. The palette has a holographic design. There is magnetic closure in it. The palette has the perfect size for travel. JUVIA'S PLACE DOUCE PALETTE is a palette which has shades that are experimental ones. 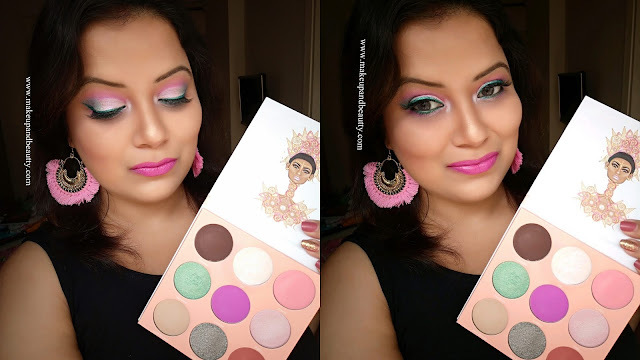 The palette has mostly those shades which we generally don't reach out on daily basis so this palette is only for an eyeshadow lover who can feel the beauty of this palette and love to create experimental looks with eyeshadows. The palette has mixtures of 9 matte and shimmers. 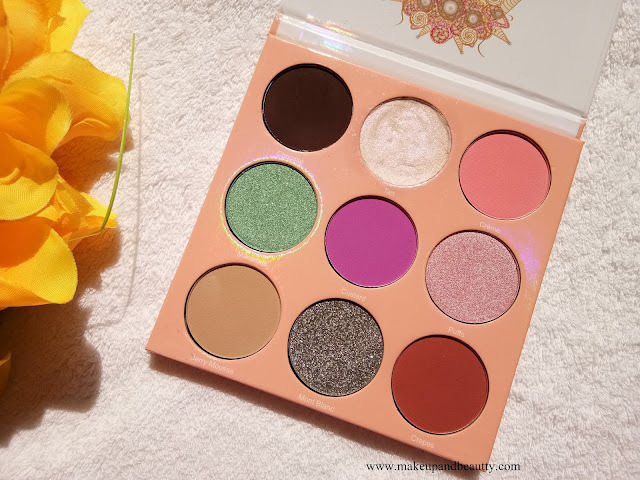 The texture, quality, pigmentation and staying power of the eyeshadows are too good. 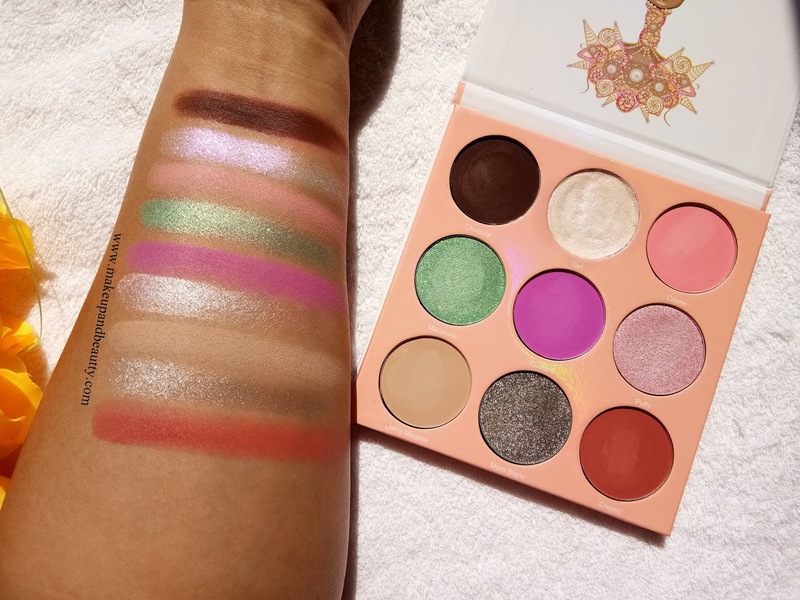 The eyeshadows have a buttery texture. They are pigmented so one needs to control the application of the eyeshadows during creating looks. They blend easily and there is a very small amount of fallouts. 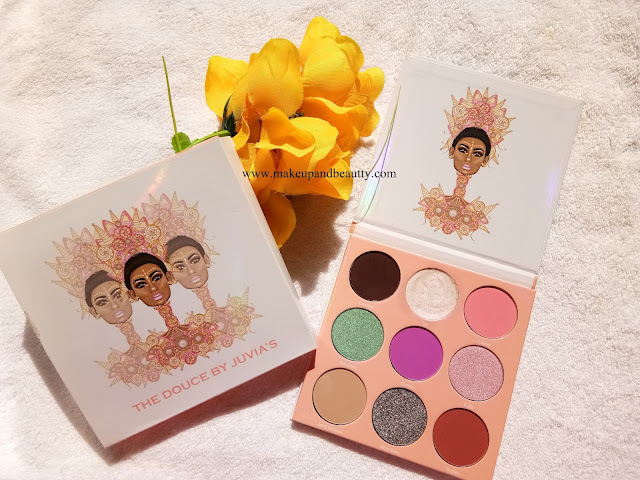 Overall I am loving this JUVIA'S PLACE DOUCE PALETTE and yes it is another awesome palette from this brand in my collection. 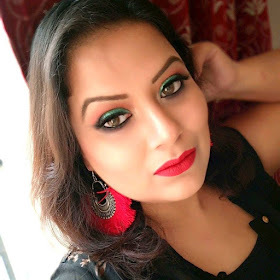 Nice shades Samannita, Good color combination to create beautiful eyelooks.